What? Adam is reviewing the tenth episode of a serialised novel that he hasn’t written about since the first part came out two-and-a-half months ago? What’s the deal? 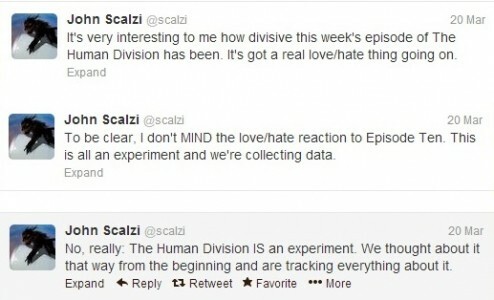 The truth is, I don’t know if I would have put pen to paper on this chapter of The Human Division were it not for the following few tweets from John Scalzi, himself. While I can see both sides of the argument surrounding “This Must Be the Place,” I think it stands out as one of the best episodes in the series to date. As Scalzi says over on his blog this is not a particularly science fiction heavy episode. Hart Schmidt, one of the overall story’s main characters, goes home to visit his family on Phoenix, the capital world of the Colonial Union. Before driving out to his family’s compound, yeah they’re that rich, Hart luxuriates in a hotel room for a night, savouring the personal space and hot water showers absent on the CU diplomatic starship he calls home. Upon arrival, he banters with his siblings, gets pressured to enter politics by his father, and endures his mother’s editorial comments on a lack of grandchildren bearing Hart’s DNA. Save for the wealth and political office, it’s a bit like a visit to my long-time girlfriend’s parent’s house. Considering the all too common nature of such an experience, I expect a certain demographic is going to really latch on to this story. Beyond this specific appeal, I can still see a broader purpose for this episode within the “humanity turned against itself” conflict of The Human Division. Simply put, we finally have a character to care about. This isn’t to say the other characters aren’t memorable. But the pace of THD does not allow for crafting extensive back stories. We learn about the characters as they exist in the moment. How they change from episode to episode weaves the tapestry of who they are, but only ever in medias res. So if Scalzi decided he wanted to kill somebody, say Harry Wilson, I’d only miss him to the extent that he was a tie-in character to Old Man’s War…well that and his hilarious rant about the Chicago Cubs being the ultimate definition of failure in professional sports. Even in the future, the Cubs are renowned for their inability to win. 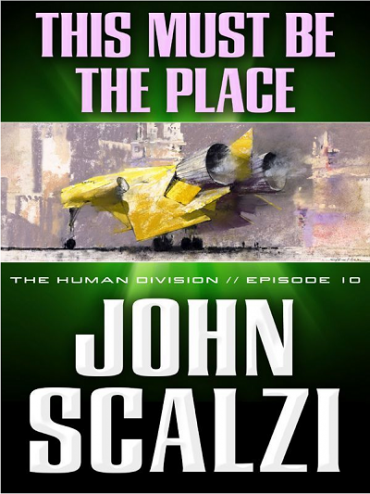 In taking us through Hart Schmidt’s history, Scalzi is facilitating an opportunity to genuinely empathize with the character. After nine episodes of action, exposition, one-off encounters on Earth, and one story which was entirely told as dialogue – which for the record, I thought was boring as hell – readers can now get good and invested in a character as the stakes get raised through the final three chapters. Dare I even suggest Hart is emerging as a hero of this story? The only down side is this paints a giant target on Ned Stark’s, I mean Hart Schmidt’s back. The trip to Phoenix has the additional benefit of adding more depth to the universe in which the story is set. Prior to this chapter, I don’t recall any serious discussions of economic class distinction within the Colonial Union. Active service members of the Colonial Defence Forces don’t pay for anything during their ten years of service. When John Perry musters out of the CDF I don’t remember any evidence of poverty on either of the two CU planets that we see. While I never suspected the CU to be the United Federation of Planets, it nevertheless seemed somewhat egalitarian, at least until this week. Hart Schmidt’s family read as if they were the Space Kennedys. Mind you, it would have been all too easy to turn Hart’s father into Mitt Romney, or some other send-up of contemporary douche bag gentry. Hart’s desire to leave the family “business” and join the CU would have worked just as well under such a model, and I, as a reader, would have still felt a strong empathy toward Hart’s character. Instead, Scalzi writes about wealthy people as we would want them to be, rather than raging against how they are today. Alastair Schmidt is connected to the usual bootstrap rhetoric, but he also plays the patron, creating jobs for people which allow them to meaningfully pursue their passions during their downtime. Though demanding to his staff, he works toward a sense of greater good, using politics to support the people of Phoenix rather than having them legitimize his own power base. He’s the kind of elder statesman that Rousseau talks about in The Social Contract. Science fiction needs these sorts of ideas. Amid a new dystopia every week, stories that believe in ideals and individual freedoms seem in considerably short supply. This glimpse into daily life on Phoenix also works to justify the often heavy handed and seemingly Machiavellian decisions of the CDF and the Colonial Union’s upper echelons. Humanity needs the CU to make the hard choices for the species, which in turn allows Alastair Schmidt to focus the nuances of a coalition government in Phoenix’s parliament. Where the CU used to look like an arbitrary and arrogant organization, and I hated myself for being duped into agreeing with their rhetoric, it now appears as the institution which allows the arts to flourish behind the shield of the CDF. 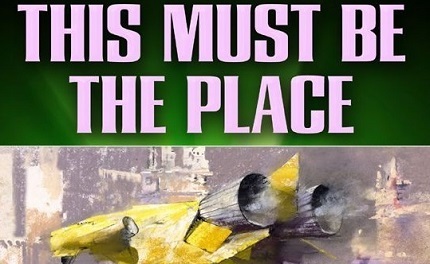 Even though “This Must Be the Place” is a change of pace for The Human Division, it defiantly works as an effort to build character depth and make the world of the Colonial Union a more authentic place in the eyes of readers. Given its placement within the thirteen episode arc, I can only imagine some very bad things are about to happen to the Clarke and the Colonial Union at large.